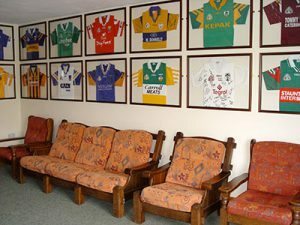 In the main building we have a GAA colours museum with jerseys from all 32 counties and also New York and London as both compete in the All Ireland Championships. The jerseys were given by former inter county players, and friends with the remainder being subsidised by O’ Neills Ireland. Kids can enjoy both outdoor and indoor games in the evenings while parents prepare meals or maybe just need a break!